"Thanks for giving our young people a look at what their future holds if they continue to break the law"
"Made us think differently about prison, inmates, and our own behavior"
"Provided our students an experience unlike any other...grateful for such a program"
Statements such as these reinforce the South Carolina Department of Corrections' decision in 1992 to implement the crime prevention program entitled Operation Behind Bars in nine prisons across the state. 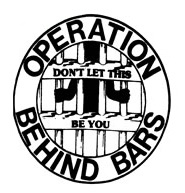 The "Operation Behind Bars" program utilizes a more realistic approach rather than intimidation or scare tactics. The program is targeted toward young adults, and allows them to tour a prison facility and then hear inmates give realistic accounts of actions that led to their criminal behavior, the effects of incarceration on themselves and their families as well as the impact of their crime on the victims and the community, and day-to-day life in prison. To schedule participation in the Operation Behind Bars program, please contact the institution located closest to you and discuss tour dates with the institution's Operation Behind Bars coordinator.